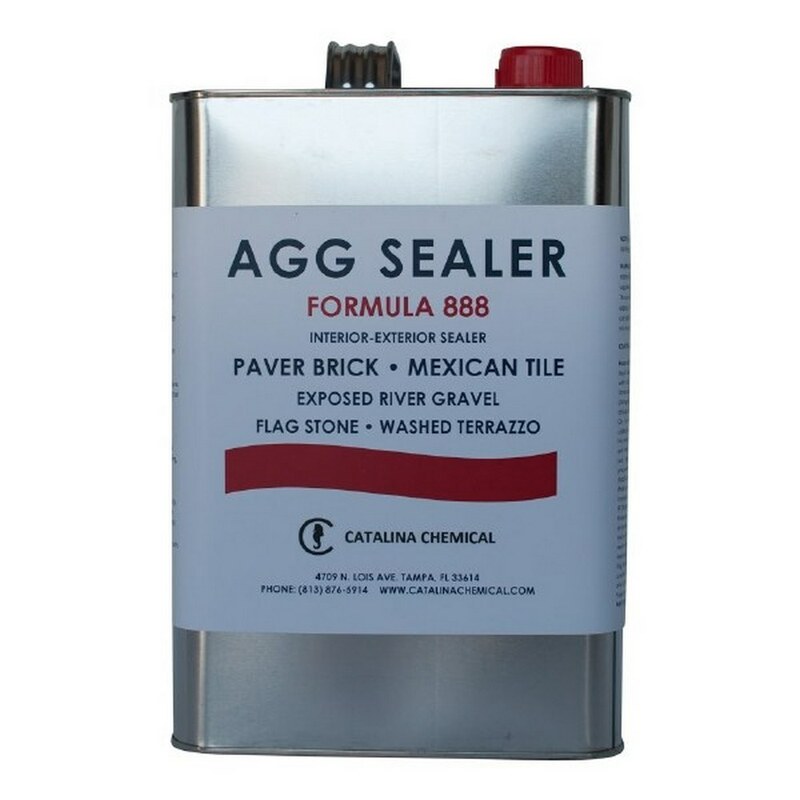 AGG Sealer 888 is a solvent based, HIGH GLOSS, acrylic sealer. Formulated to efficiently seal rough or porous surfaces such as Mexican Saltillo, deep wire-cut brick pavers, exposed aggregate, stone, and all other rough or porous cementitious tiles or materials. Designed to resist fading or discoloring and maintain gloss for long periods of time when appled to exterior surfaces. Product Notes: Allow 12-24 hours before applying 2nd coat, depending on porosity. Coverage: First Coat: 75-100 sq. ft. per gallon.